How Did Man Discover the Process for Making Alcohol? What does aging a wine do? The Celtic tradition has always embraced mead in both ceremonial and festival use. Indeed, mead is just as Celtic as the Druids. It has been touted as the “drink of the gods” for centuries. Even among today’s pagans a good bottle of mead is often just as prized and coveted as some ritual tools or “mystic secrets.” You might even be surprised at the bartering potential of a bottle of high quality mead among some circles of heathen brethren today. Mead was quite possibly one of the first fermented drinks mankind developed. Egyptian, African, Greek, Roman, Celtic and Norse cultures all have recorded history mentioning mead as a favorite and preferred drink. Mead is made from honey, and honey was the only source of sweet foodstuff available to biblical and pre-biblical man. Refined sugar was not to be introduced for several centuries. The earliest recordings of mead are from the Egyptian culture. We know there was not a great abundance of high-sugar fruit in the Egyptian region. The only abundant source of sugar for producing alcohol came from honey, which was highly prized in the region at that time, and still is today. Other early civilizations like the Romans and Greeks also lacked high-sugar fruit and refined sugar sources to make drinkable alcohol, but honey was readily available and cultivated in these areas as well. Well, more than likely it was accidental. Honey has a tendency to accumulate water derived from moisture in the air, and once water accumulates to dilute the honey at the surface of a container the natural yeast present in the honey starts the process of making mead naturally. More than likely, early man just realized that when honey was combined with water and was left to sit it would generate what we now know as an alcoholic beverage called mead. This was a very unpredictable cultivation at first because these cultures had no idea exactly how the process took place or what the catalyst was. Batches of honey were often simply diluted with water and left in the sun to see what happened even up until the 1800’s. Some mead was successfully brewed and other batches were more than likely spoiled by contamination from other microorganisms. It was not until the mid 1800’s that the process of making drinkable alcohol from sugar, a process known as fermentation, was truly understood through the research of Louis Pasteur. 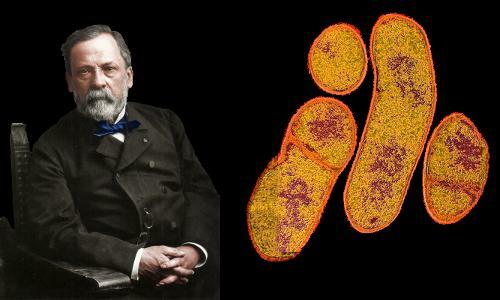 Pasteur is most recognizable to Americans as the scientist credited with the development of pasteurization used to sanitize milk as well as other contributions to the field of biology. However, the rest of the world widely recognizes Pasteur for his great contributions to the field of wine making. He was credited for discovering and documenting the scientific basis for fermentation used to this day in all forms of brewing. The process seems quite un-natural until you have an understanding of microbiology. Egyptian and Celtic cultures certainly had no knowledge of these concepts. More than likely a serious spiritual significance was probably placed on the brewing of mead. However, in today’s world we understand how the process works on a biological level. Various spices and fruit juice combinations are used today to make meads and wines of all variety. Many people enjoy the hobby of home brewing to make their own beers, ales, wines and meads which is perfectly legal in the US as long as it’s not done for sale and the mixtures aren’t distilled into stronger spirits. Federal law provides that individuals may produce up to 200 gallons of wine per year per person per household. Wine making kits are readily available at local home brew shops or via the internet for $50 to $100. Internet and book resources are also readily available to today’s hobbyist to explain the process step-by-step. Many people today enjoy making their own meads, wines, beers and ales for the pure satisfaction and enjoyment of doing the job themselves. Once the basics of brewing are understood it’s very easy to make your own custom flavors or play with recipes from more traditional products like mead or grape wine. Wine can be made from just about every fruit and vegetable on the planet given proper understanding of fermentation. These beverages can often be made by the hobbyist MUCH cheaper than if the same products were bought commercially and often with the same quality as commercial brews. Custom brews make great gifts too! Home brewing has become so popular that hobby clubs have been in operation for years and often promote local competitions among fellow brewers. Wine is any sugar based fermented beverage. Mead is a specific variety of wine made from honey. Mead is a type of wine but no wine may wear the label of mead unless it’s primary ingredient is honey. Sack Mead: sweet honey wine but the only sweetener used was honey. No additional spices. Metheglin: honey wine that has been spiced for flavor. Examples of common spices are cinnamon, nutmeg, cloves, rosemary & thyme. Beware the Clear Industrial Honey Bears!!! Beware of ANY super-clear honey. If you can read a newspaper through the bottle then it’s probably had most of the good stuff filtered out. Not all honey is created equal. Know that honey widely available for purchase in big box stores in the US is all pasteurized, which is both good and bad. It physically filters the honey to remove things like pollen, wax and other misc. objects, but it also means that the honey has been rapidly heated and then cooled. This process renders the honey “safer” but it also destroys much of the medicinal benefit. Pollen is GOOD for you, you want that in your honey… in fact there may be reasons you want to add MORE pollen to your mead. Ingesting pollen. Ingesting pollen has been shown to be effective in helping with some seasonal allergies. It’s also a very dense food nutritionally speaking, so much so that the roman legions were often issued rations of compressed pollen bricks. The rapid heating and cooling process also destroys many of the beneficial chemical compounds found in natural unpasteurized honey. Any honey used for medicinal purposes should ideally be processed as little as possible. Honey labeled as RAW in stores are usually preferable. Also, be wary of bulk honey purchases in general, especially if the price seems too good. MUCH of the “honey” sold in the US is imported and is not actually honey at all, but a manufactured or overly-adulterated product that’s never come in contact with an honest bee. This is to be avoided like the plague, ESPECIALLY if it’s coming from China, where pesticide and pollution regulations are much more lax. Ideally you want RAW honey that was produced in the US, Canada or possibly in EU (pesticide and pollution regulations in European Union countries are generally more strict than in the US), however, you may find it difficult to find RAW honey that’s been imported due to US Customs regulations. Ideally, stick with locally produced raw, unpasteurized honey. Check local farmers markets and ask about bulk pricing. There’s usually a good discount for buying in gallons or 5 gallon buckets. Generally, assume 3.3 lbs of honey per gallon for a strong sweet mead. Assuming you’re making a 5-6 gallon batch of mead you want about 20 lbs of honey. Honey weighs in at about 12 lbs per gallon so you’ll want to pick up about 2 gallons per 5-6 gallon batch of mead and plan on having a little left over (honey literally never spoils if stored in a cool dark place). Bee keepers will generally have one of two batches of honey available upon request or depending on the season. There’s a Spring/Summer harvest which is typically light and fruity. There’s also a Fall/Winter harvest that will typically be darker and will sometimes be be a bit smokey. The Spring/Summer honey will usually make better light or fruit meads while the Fall/Winter harvests are usually better suited to dark or heavily spiced meads. Always ask the bee keeper what the bees typically forage from for honey and ask if they supplement their bees with sugar or sugar water. The type of flower the bee visits has a surprising impact on the character and flavor of the honey. Orange Blossom honey will be very different from say Texas Wildflower honey. Always always always ask for tasting samples. Bee keepers are normally very happy to provide this, especially when you tell then you’re a brewer looking for flavor inspiration and may want to buy a couple gallons. Don’t underestimate the importance of good quality water. After all you’re going to be dropping some big bucks on honey, you don’t want to spoil the batch by using sub-standard water. Most municipal water is pretty off-putting unless you happen to live in an area blessed with great local water. If you’re using tap water at the very least you want to run it through a carbon filter such as a Brita water pitcher or a Brita filter on the tap. You’d be surprised how much that improves flavor and drink ability. I happen to have an overly-expensive 3 stage water filter in my kitchen. If you’ve got something on that order you’re probably good to go. However, keep in mind that if your water has chlorine added (most municipalities do this to help keep the water safe) you’ll want to let your water de-chlorinate naturally before using it for brewing. This is easy to do. Simply fill your brewing bucket ahead of time with the desired amount of water and leave the lid off so that the chlorine can evaporate. Cover the top of the bucket with a towel though to prevent dust or other airborne contaminates from getting in there. If you’re going for store-bought water remember to stay away from distilled or reverse-osmosis (RO) water since it’s so heavily filtered that it lacks many of the trace elements needed for fermentation. You’ll likely have problems brewing with this kind of water unless you add special mineral packs back to the water to correct for this. Otherwise you’re unusually ok using anything labeled as “spring” water. Usually this is just industrial filtered municipal water, but its had the correct minerals added back to it after the filtration. You also can’t go wrong with Ozarka bottled water and it’s very reasonably priced. Just call up ozarka and ask for a couple of 5 gallon bottles. If you’re not going to sign up for their service (you’re just buying the water) they’ll probably charge you an extra $5/bottle because you’re keeping the jugs… but the next time you order you’ll have jugs to trade in so you won’t have to pay the deposit. It’s also not a bad idea to keep a couple of extra 5 gallon bottles on hand as part of your normal emergency supplies. I keep about 30 gallons of ozarka water on hand in the garage in case of natural disaster, etc..
Campden Tablets kill bacteria, molds and wild yeast and are essential when making wine from fresh fruit or unpasturized honey. They’re not generally required if using sterile ingredients to being with and should be avoided in these cases as they will only unnecessarily slow down fermentation. The normal dose is usually 2 crushed tablets per gallon. Be sure to cover the mixture with a cloth or towel and let vent for at least 24 hours before adding cultured yeast to the batch. Otherwise, the tablets will slow down or kill the yeast that’s deliberately introduced to the batch to kick off fermentation. Campden tablets are also often added to wine just before bottling (and not given a chance to evaporate out) to sterilize the wine and prevent fermentation in the bottle. 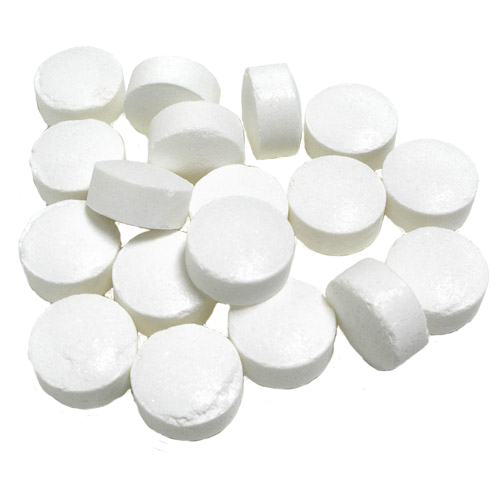 Campden tablets have a mild effect on flavor when used in the prescribed doses. Yeast, is the key to making wine, is a microorganism that naturally consumes sugar (along with other nutrients) and outputs waste and carbon dioxide along with other particles. Yeast occurs naturally in most fruit and in honey but this yeast often produces an undesirable or undrinkable wine and should be destroyed using campden tablets or boiling before starting fermentation. Several strains of yeast are available from local brewing shops. Some are used for beer, others for wine and others for Champaign. Each type produces a different type of flavor. Most mead is made with wine yeast or Champaign yeast if a slight carbonation effect is desired. Yeast Nutrient contains all the essentials for yeast to thrive. Adding nutrient is not absolutely necessary but without it some fermentations would become sluggish and take much longer to complete. Nutrient should be added in the amount of 1-2 tablespoons per gallon before the yeast are added to the wine. Yeast Energizer is essentially the same thing as Yeast Nutrient but is especially bended for fresh fruit wines. Acid Blend is a crystallized version of most of the acids naturally occurring in fruit (tartaric, maltic and citric acid). This is often added mainly as a flavoring agent to fruit wine that is naturally low in acid such as apple wine. Refer to your wine recipe for acid blend amounts. Tannin (grape or other) naturally occurs in some fruit such as grapes and is used primarily as a flavoring agent. Tannin increases the “astringent” quality of wine which gives it a fuller flavor or “zest”. Tannin also aids in clearing/fining the wine and in aging quality. Refer to the recipe for amounts to add. Peptic Enzyme is added to fresh fruit wines and forces the fruit pulp to release more of the natural fruit juice and the natural fruit color. Refer to the recipe for amounts to add. Potassium Sorbate is an additive used just before sweetening wine when bottling. The additive coats any existing yeast cells so that they cannot reproduce even if there is sugar present in the wine. Note, this does not kill any yeast cells, it simply means that the fermentation will not get any more intense than it already is. If there are still enough living yeast cells in the wine when bottling you may still have problems after the wine is bottled even if potassium sorbate is used. Sodium metabisulfite is an extremely strong contact-sanitizer for wine making equipment that can be purchased at most home brew shops. Any equipment that comes into contact with the wine should be thoroughly rinsed in sodium metabisulfite. Sparkloid is a brown powder substance that’s mixed with hot water and poured into a mead that has stopped fermenting in order to help clear the mead. The mixture must be thoroughly stirred and then allowed to settle for at least 24 hours. The clear mead may be siphoned off of the sediment that settles at the bottom. Fining agents must often be administered two or three times to achieve optimum mead clarity. .
Bentonite is a fining agent used the same way as Sparkloid but can be much more effective in my personal experience and ranges in the same price. If given a choice I choose bentonite over Sparkloid anytime. Temperature is very important when using bentonite. Ideally the wine should be cold or cool and the bentonite solution should be hot (near boiling). 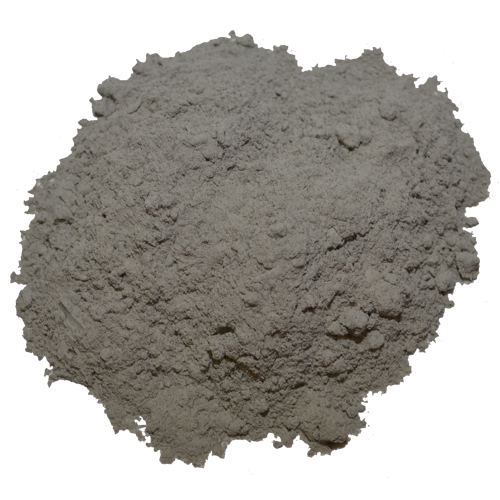 The temperature difference greatly improves the effectiveness of the bentonite treatment. Stir vigorously when adding to the batch. 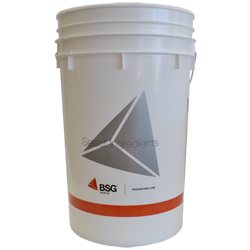 Primary Fermentation Container: The best container to use for primary fermentation (discussed later) is a food grade bucket with lid or barrel. The key to selecting an appropriate primary fermentation container is the container having a large surface area exposed to the wine (no small openings) and having it at least a gallon larger than the batch you want to produce. If you want to brew a five gallon batch you probably want to select a six gallon container and leave a few inches of air space at the top for the foaming that may occur during fermentation. 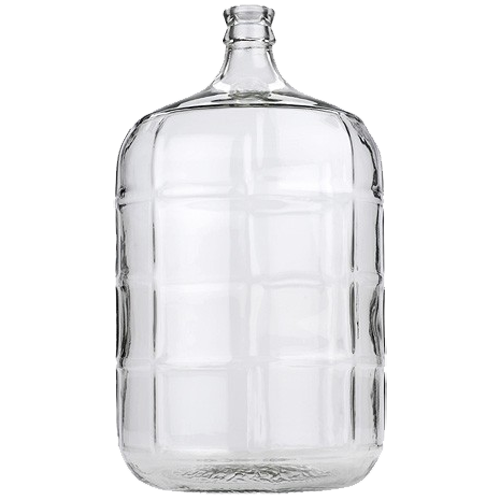 Secondary Fermentation Container (Carboy): A secondary container should have a very slender opening and should be able to be easily filled almost to the top. As little surface area of the wine as possible should be exposed to the air. You should also be able to attach an air lock and rubber bung to the secondary fermenter making it air tight except for the air lock. The most widely used secondary fermenter is a glass carboy or plastic ozarka bottle. Siphoning / Racking Equipment: At the very least you will need some type of rubber or vinyl hose to move wine from one container to another. 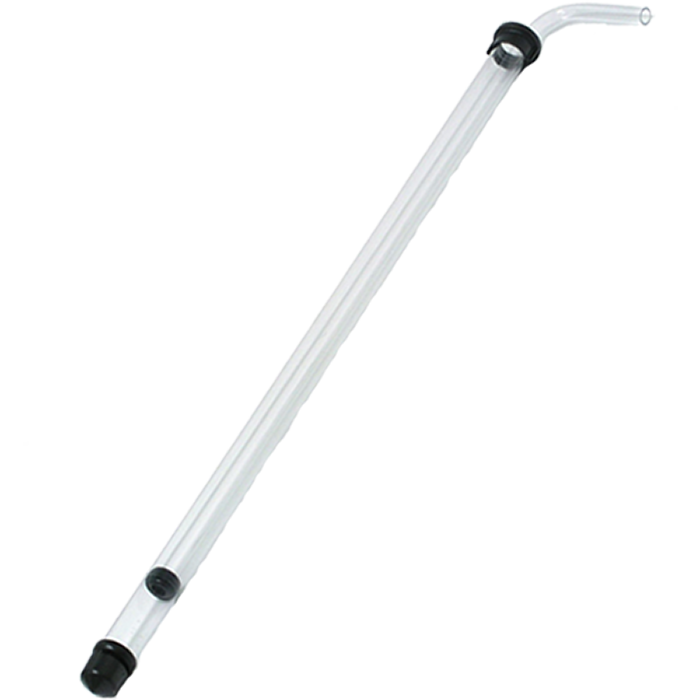 Many home hobbists also use a “racking cane” which is essentially a J-shaped hard plastic or glass tube with or without a small cap to keep the cane above the sediment in the containers. When working with five gallon batches of wine at least 5 feet of hose is required. Hydrometer: A hydrometer measures the specific gravity (density) of the wine. This allows you to judge the sugar content of the wine. A minimum starting sugar content of wine is usually 1.74 to 1.90. When the hydrometer registers 0 all sugar in the wine has been converted to alcohol. 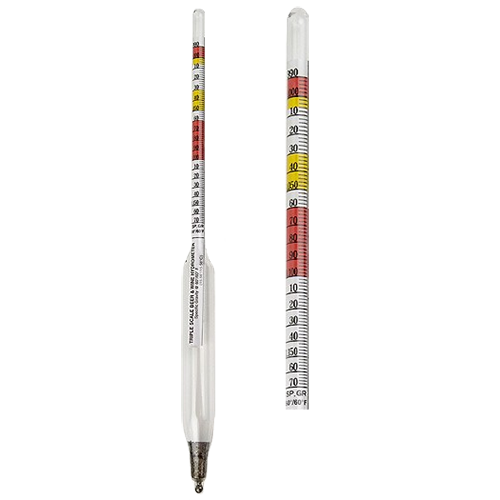 Hydrometers are also effected by temperature variations in the wine. Refer to the documentation that comes with your hydrometer for exact specifications and conversion tables. 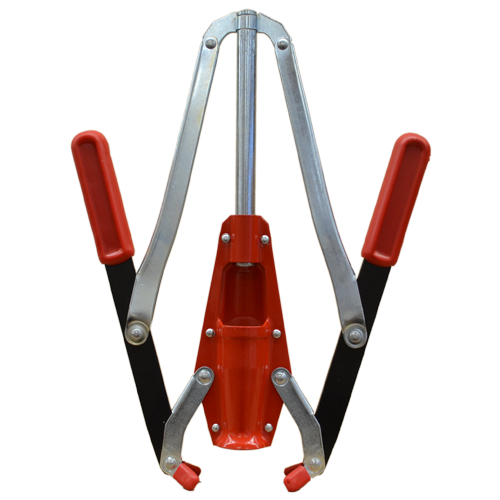 Levered or Floor Corker: If you are planning on bottling and corking your wine it’s well worth the $20-30 for a levered or floor corker. Some models of corkers do not use levers and require you to apply a large amount of direct force to the cork to force it into the bottle. These types of corkers can be extremely difficult to use. If you are planning on corking your wine then you’ll want to invest in a relatively inexpensive corker that will allow you to quickly and easily seal bottles. Remember, a five gallon batch of wine can make as many as 25 standard sized (750ml) bottles of wine so you probably won’t be corking just one or two bottles at a time. If possible, try out the corker before buying it to make sure it’s comfortable for you to use. Other useful tools: A plethora of other tools can be very useful when making wine but are not necessarily “specialist equipment”. They are not absolutely essential but they can make the process MUCH easier. These include bottle brushes, rinsers, drainers, fillers, long handled stirring spoons, thermometers, funnels, hose clamps, pulp bags, etc. Yeast does the work – The whole feat is accomplished using a microorganism known as yeast. These microscopic life forms are classified as a higher order of fungus with the ability to consume sugar and expel drinkable alcohol and carbon dioxide as waste. If yeast is introduced to a liquid with a high sugar content and held at the optimum temperature (about 70-75 degrees F) it will quickly consume the majority of sugar in the mixture and replace it with its natural byproducts, alcohol and CO2. The more sugar present in a mixture the more alcohol generally produced in the end product. As the percentage of alcohol in the mixture (known as “must” in the wine industry) raises the process of fermentation slowly halts. Alcohol is toxic to yeast in high volumes. Some residual sugars may remain in the mixture after fermentation is almost complete but if more is added the process of fermentation will continue to further raise the alcohol content to somewhere in the neighborhood of 24-25% (50 proof). At this point, the alcohol content of the mixture is usually too high and the yeast begin to stop fermentation and die. If using a yeast culture (recommended especially for fresh fruit batches), buy a bottle of bottled apple juice and pour out about ½ of the juice. Mix in the dry yeast and cap with an air lock and rubber bung. Do this at least a week before you plan on starting the wine batch. Let sit in a cool dark place. Mix all ingredients in recipe except for yeast nutrient/energizer & yeast into the primary fermenter. If fresh fruit or un-pasteurized honey is used crush and mix 2 campden tablets per gallon into the wine, cover with a towel and wait at least 24 hours. Whisk wine (optional) and add yeast nutrient and dry or cultured yeast. When air lock bubbling slows to 1 every 2-3 minutes test with hydrometer. If SG is below 1.34 then rack switch to secondary fermenter. Freeze and thaw (see instructions below) if desired. Bottle in corked bottles, 2 liter or gallon containers. Age as desired (aging can also be done in larger secondary fermentation containers. The honey is mixed with all the necessary ingredients in a container, usually a food-grade plastic bucket. The mixture is sanitized and additional nutrients beneficial to the rapid growth of yeast are added to the basic wine mixture, known as “must”. A yeast culture is added to the must and fermentation begins. An air-lock is usually attached to the container so that the carbon dioxide produced during fermentation can escape the container but air from the outside cannot contaminate the fermenting mixture. An air-lock, or fermentation lock, is usually an S-shaped tube with a water trap in the bottom. As pressure from the fermentation container builds it bubbles through the water trap and escapes into the open air on the outside of the container. As long as the pressure in the container remains greater than the outside atmospheric pressure then no air is allowed to enter through the fermentation lock. Maintaining a higher pressure inside the fermentation tank is not difficult as the natural bi product of fermentation is CO2. A sterile cotton plug in the top of the container can also be used for this purpose but this doesn’t allow for the brewer to see when the mixture stops bubbling which is used as an indicator for fermentation levels. 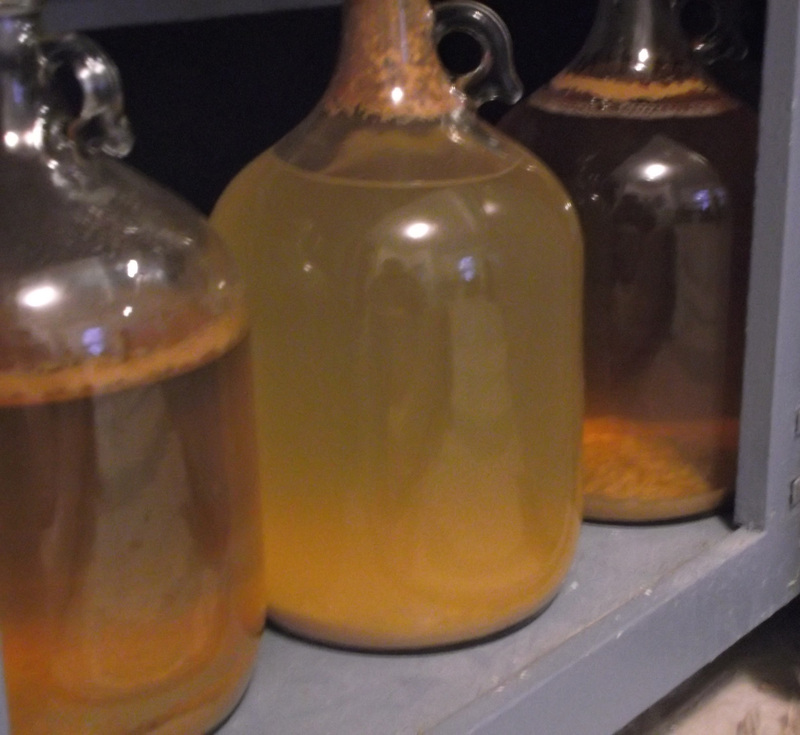 Traditionally, there are two stages to fermentation, primary and secondary fermentation. The first stage is usually done in a bucket or a barrel with at least a few inches of air space above the fermenting mixture. This air is essential as this is the “aerobic” stage of fermentation. If the gap were filled completely with wine the container would likely explode or at the very least spew out the vent hole or air lock at the top of the primary fermenter. 90% of the alcohol is made in the first stage of fermentation. In most batches primary fermentation is complete within the first 30-40 days. The official end of fermentation occurs when the specific gravity of the wine reaches 1.34 on a hydrometer given that the beginning reading was at least 1.70 before fermentation began. The air lock should bubble no more than 1 time every 2-3 minutes at the end of primary fermentation. At the height of the primary fermentation the air lock may bubble as many as 50-60 times per minute. The 2nd stage of fermentation usually involves siphoning the wine into a glass container and leaving a very small gap between the wine and the top of the container. This stage of fermentation is known as “anaerobic” since exposing the wine to air at this stage will be detrimental to the fermentation process and may significantly alter the taste of the wine. Once secondary fermentation has begun great care should be taken to minimize the exposure of the wine to air. This stage of fermentation is complete when there is absolutely no pressure change (no bubbles in the air lock) and the specific gravity is 0. Adding additional sugar to the wine at this point may trigger a growth in yeast cells again and eventually raise the alcohol content if fermentation is allowed to continue. Secondary fermentation may take as long as a year with air lock activity reducing to less than 1 bubble per week in some cases. Specific gravity checks with a hydrometer is the only sure way to guarantee fermentation has completely stopped. Warning: attempting to bottle wine or mead before you are absolutely sure fermentation is 100% complete may result in bottle explosions or ruined / undrinkable wine. Since the vast majority of the alcohol is produced in the first 30-40 days and most wine is drinkable at that point the main purpose of secondary formation is to wait for the yeast to consume all available sugar and die so the product can be safely bottled. One method of speeding the process up is to freeze the wine. This ruptures the yeast cells and stops fermentation. However, alcohol that is in the batch to be frozen may gather together in the freezing process and create an unfrozen pocket of liquid in which a few of the yeast cells may be able to survive. It only takes one or two yeast cells coming into contact with sugar to kick off fermentation again once the mixture is thawed. Therefore, freezing the mead in small batches (2 liters to a gallon size at a time) at very cold temperatures (deep freeze) for several days in a row is recommended. Remember to leave a few inches in the freezing container for the water in the mead to expand as it’s frozen. Once the mixture has been frozen for several days, remove and let thaw with a tight lid on the bottle to keep the wine from being infected with air born bacteria. Let the wine thaw completely and rack off the sediment (discussed below) and attach and air lock. Wait a few days and watch the pressure in the bottle by monitoring the water level in the air lock. If pressure begins to build up in the container again it’s a sign that fermentation has begun again and the batch needs to be frozen again. This may take several freezing rounds for some wines but is much faster than waiting a year for the fermentation to end naturally and has absolutely no effect on the flavor. In fact, freezing improves the flavor by helping to remove solid particles suspended in the mead from fermentation. Once the frozen mixture is thawed, the solid particles float to the bottom of the container where you can rack off sediment. Sediment suspended in mead is the #1 cause of bad / off wine flavor. After fermentation the mixture is sanitized to kill all microbes, including yeast, and sweetened to taste or left as-is for an un-sweet or “dry” flavor. The wine is usually stored in a wooden cask/barrel to age. Aging wine is a fine art in itself apart from mixing the ingredients in the original recipe and controlling the fermentation process. It can also be done quite successfully by the hobbyist in a wine aging container known as a carboy, which is essentially a large water bottle that varies in capacity from one to ten gallons, or even larger. The wine will usually be filtered mechanically or siphoned from one container to another to remove any sediment that’s collected as a result of the fermentation process. Bottling and further aging is usually the last step in the process. There is some debate as to whether leaving the sediment in the fermenting batch during primary and secondary fermentation will affect taste. Many brewers leave all sediment in the bottom of the batch of mead throughout the entire process with no ill effects on taste. However, the process of racking often stirs up the sediment to a small degree. Because of this it’s recommended to rack the clear mead off the top of the sediment once the sediment level reaches ¼ to ½ inch in depth. Refer to the section below about “fining” the wine to force sediment to the bottom of the container. Very few steps in home brewing will improve flavor as much as clearing your mead or wine. The flavor difference between clear and cloudy mead is often astonishing. Additional substances can be added to the wine at this point to capture any remaining particles suspended in the wine, forcing them to the bottom of the container for one final racking. The addition of additional substances to produce a clearer wine product is known as “clarifying” or “fining” the wine. Two main products are popular for this among hobbyist wine makers today. The most effective is a clay known as Bentonite. The clay comes in granule form and must be mixed with boiling water. The mixture is then mixed with wine (chilled wine for best results). The clay has a naturally occurring negative ionic charge which bonds with particles / sediment suspended in the wine. The clay is heaver than the particles so it drags the sediment down to the bottom of the container so that the clear wine can be racked off the top. Once the mixture has been added to the wine, stir with a large spoon until the entire mixture becomes cloudy and let sit for at least 24 hours (48 recommended). The wine may be treated with bentonite as many times as needed without harming the quality or taste of the finished wine. Two to three treatments are usually required to get crystal clear wine, especially if fresh fruit was used as an ingredient. Bentonite is most effective when wine is cooler than 70-75 degrees and the bentonite mixture is as close to boiling as possible. The temperature variation makes a dramatic difference in the effectiveness of the treatment and may mean the difference between one treatment and three or four being required. Bentonite is relatively inexpensive so it may be more practical to repeat treatments rather than chill a large container of wine. 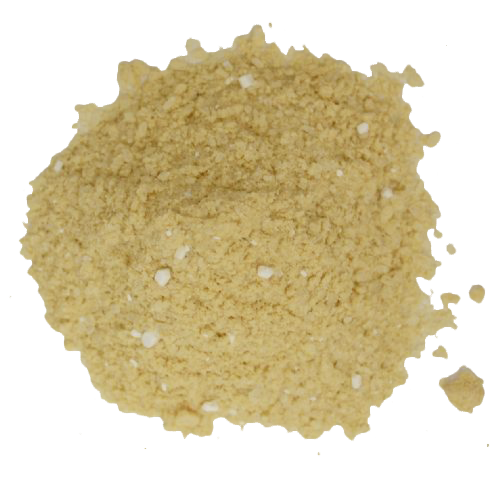 The other popular fining agent for wine is Sparkloid which is used in much the same fashion as bentonite but with not quite the dramatic result. If bentonite is not available at your local brewing store then feel confident is using Sparkloid but you may want to increase the wait time to 6-10 days before racking and re-treating. Other traditional fining agents include eggshells, bulls blood and egg whites. The wine or mead is then usually sanitized one final time using a sanitizing chemical available at most home brew shops and then bottled in an appropriate container. The wine can be consumed immediately or allowed to age to improve flavor. Wine bottles with corks are preferred by most serious hobbyist brewers, as the corks will allow for a very slow oxidation of the wine over time, greatly improving the quality of the flavor and aroma. The process of aging a wine is a slow chemical reaction in which the wine or mead is allowed to rest and slowly oxidize in a container. Wooden containers are often used for aging because the wine will take on the flavor and aroma of the wood. The wood allows for a slight amount of oxidation of the wine which can improve flavor. Oak is especially prized in the wine industry for this purpose. New wine can have a harsh and distinctly different flavor and aroma from wine that has been well aged. Serious home brewers can also purchase wooden barrels or casks to age their wine but this is often reserved for individuals who can make a substantial $200+ investment in their hobby. Anyone else wanting the wood flavors from aging wine can obtain wood chips from a local brewing store and age the wine in the carboy with the chips to produce a flavor similar to that of aging wine in traditional wooden barrels at a fraction of the cost.